Recently browsing through UCD Special Collections “mini collections” I came onto several file folders labeled “Yolo Co. (Photos)” that contained dozens of interesting and unidentified decades-old photographic images. These image are in large part an assortment of well-known black and white scenes taken well before World War II. But a small subset caught my attention. 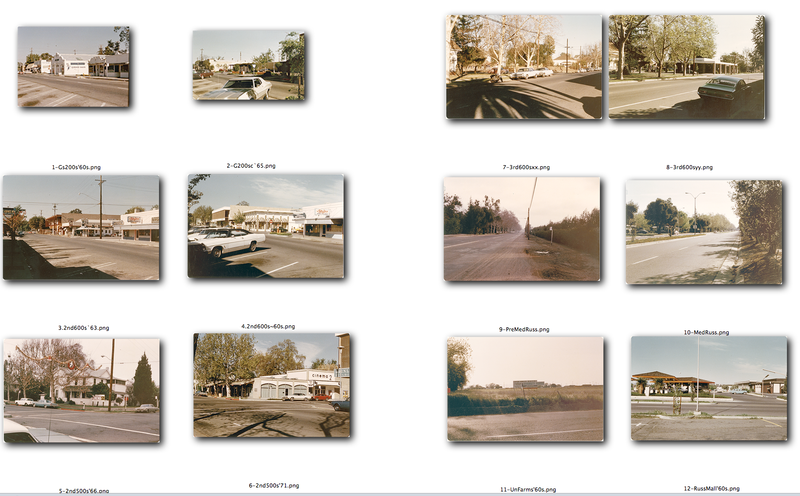 Deep in one of these files, there were twelve small color snapshots of Davis street scenes. Laying them out on a Special Collectiions reading room table I could see that at least eight of the twelve were not random views of Davis streets. 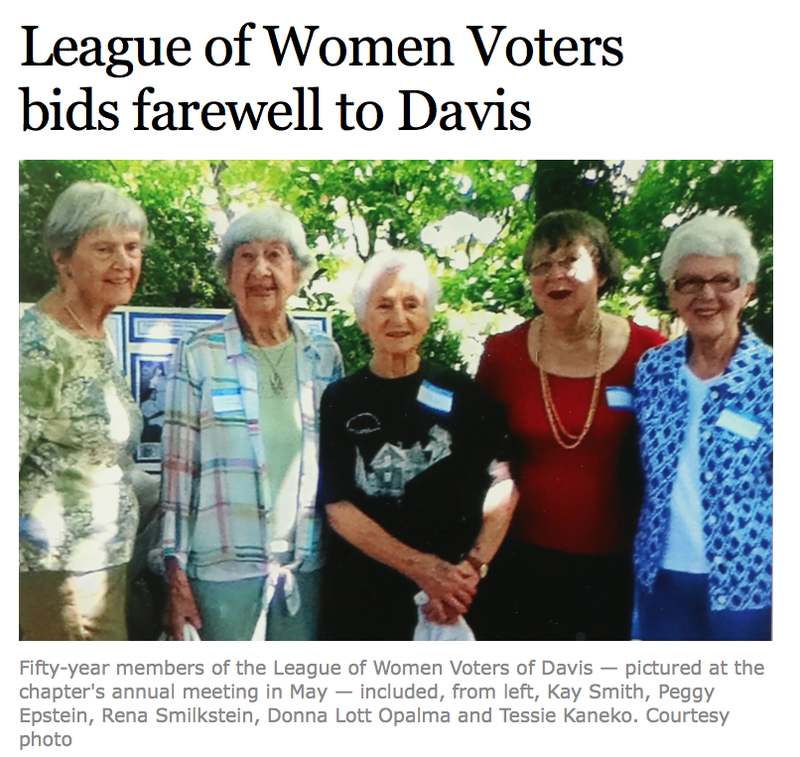 In a front-page story on Sunday June 2nd, the Davis Enterprise reported on the closing of the Davis chapter of the League of Women Voters. 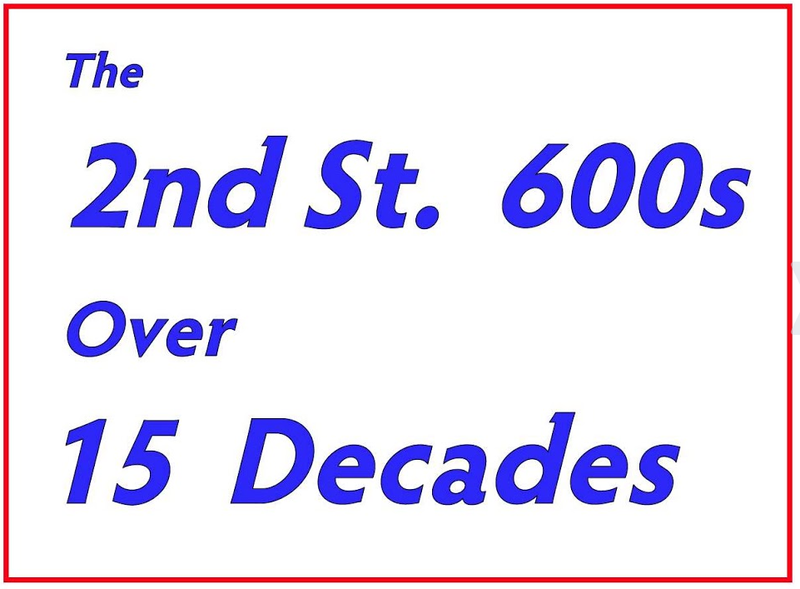 I think this is an event of special significance in understanding the history of Davis. As is elaborated in the Enterprise story, the League was an important force in shaping Davis politics in the transformative period of the 1950-70s. But Davis and the world have continued to change in ways that have reduced interest in the League--and, perhaps, in civic engagement more generally. Details follow the jump. 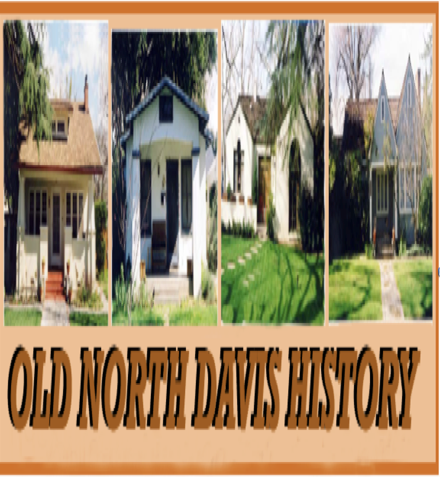 At its meeting on May 27, the Davis City Council adopted two lists of “Historical” and other names “to be used for Future Street Naming” (Images 1, 2 and 3). 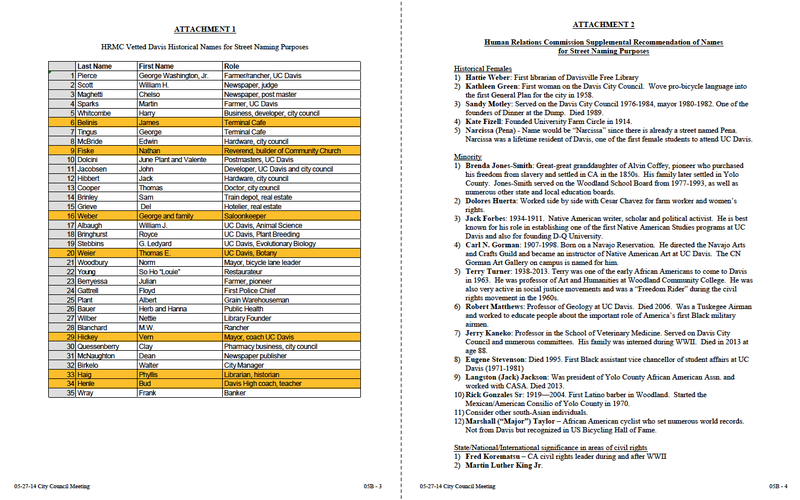 The two lists are reproduced in images 4, and 5.